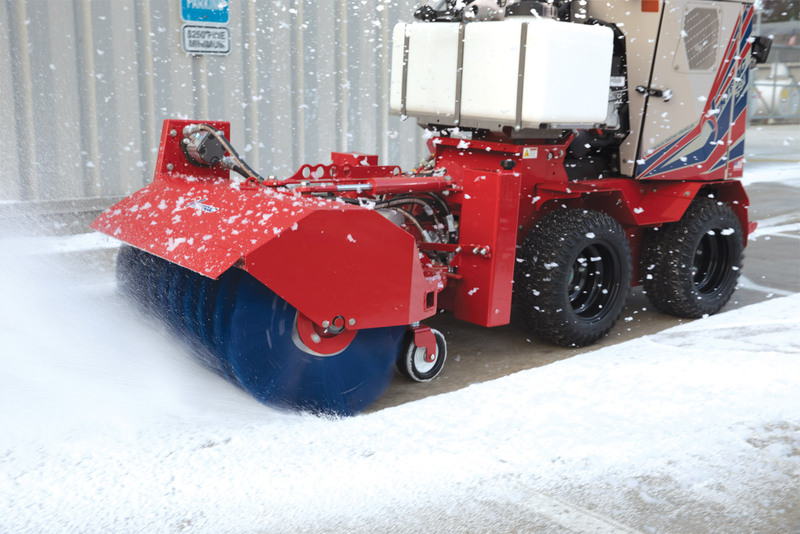 If you’ve been searching high and low for an efficient and easy way to manage the level of snow and ice on sidewalks, it’s time to check out the Ventrac Sidewalk Snow Vehicle. This machine was specifically built for use as a dedicated sidewalk snow vehicle. It features an industry-first 36” width so you’ll have access to even the tightest areas of a property. In addition, the Ventra SSV provides even more reduction of manual labor and walk-behind equipment than you’ve ever experienced before. Of course, it’s also complete with a full line of commercial-grade snow removal attachments so there’s no job you can’t tackle. Some of these attachments include a 38” poly bristle broom with adjustable speed plus reversing capabilities, a 42” snow plow with a hardened steel cutting edge, and more. Let’s not forget about the 20-gallon brine tank and the 100 lb stainless steel drop spreader. The 18 hp Kawasaki commercial engine never disappoints with its unbelievable power. There are a number of standard features that make this machine an even more worthwhile investment, like the weather-sealed dual USB charging port, 12V variable speed control, non-slip suspension platform, self-aligning, quick attach hitch, and plenty more. 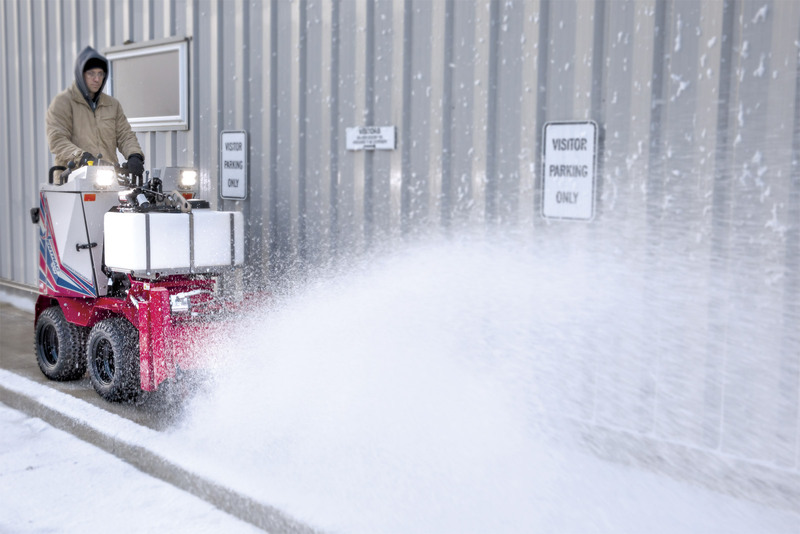 There are several reasons why customers choose the Ventrac SSV and with professional snow removal in mind, who wouldn’t want this level of reliability and performance? The ergonomic operator area keeps the owner’s comfort in mind. 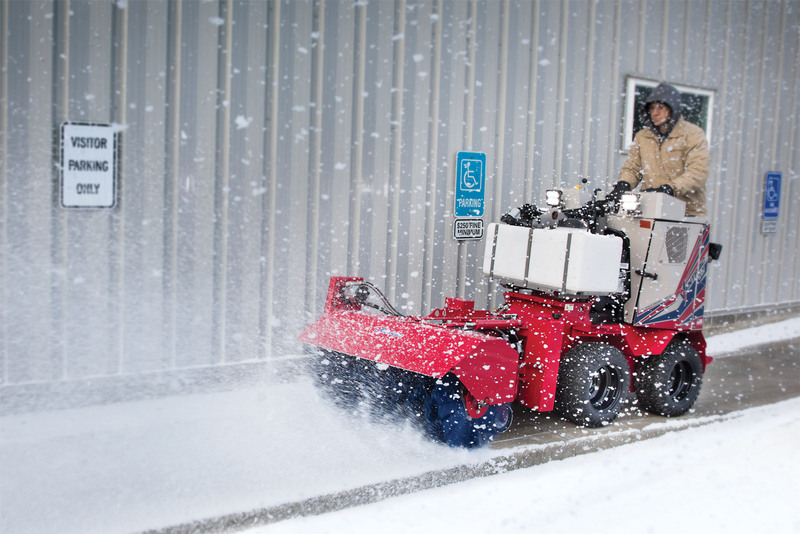 You’ll never have trouble clearing snow and ice from the sidewalk with the Ventrac Sidewalk Snow Vehicle. Be sure to visit us at Bison Turf in Tonawanda, NY today so you can check out this impressive machine for yourself. (716) 876-2000 2800 Kenmore Ave. Sat April-June: 8:00 a.m - 12:00 p.m.